Where do you go when you want to relax & refresh your soul? Make your own backyard that place. When you want to pamper yourself, luxuriate in nature, and feel at peace? Probably somewhere close by. The mountains. The beach. A meticulously manicured local park. What if we told you that we can help you create a restorative, five-star experience — right in your own backyard? Orange County, California is envied for its year-round sunshine, lush, tropical foliage, and indescribable views. 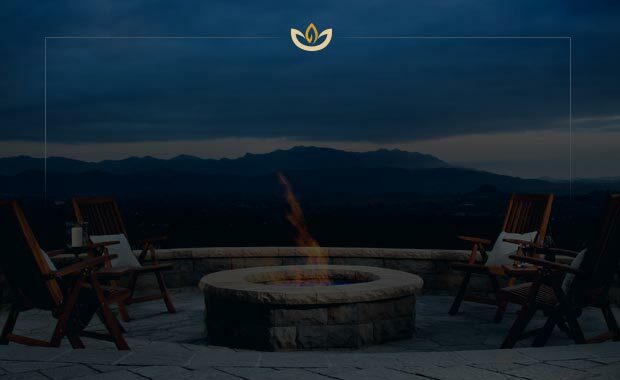 Take advantage of the natural resources in Southern California and the natural beauty of your own yard with a custom-built retreat from Patio Warehouse. 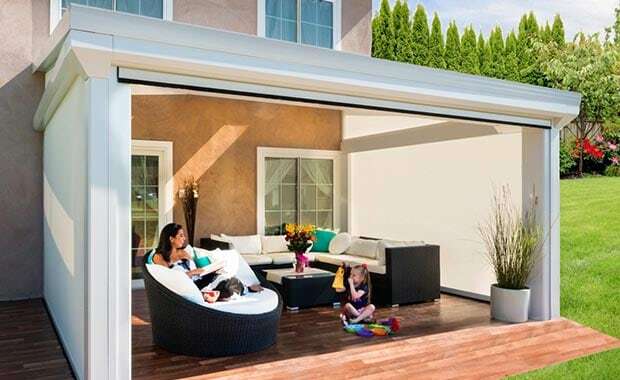 Our outdoor comfort experts are specialists in everything from sunroom construction to aluminum patio covers. We begin each and every project by understanding your home’s unique architecture and layout. By taking advantage of your home’s unique features and design, we can ensure that your new patio feels natural and complements your home’s design. Our specialists will guide you to a look that’s right for your home and your budget. 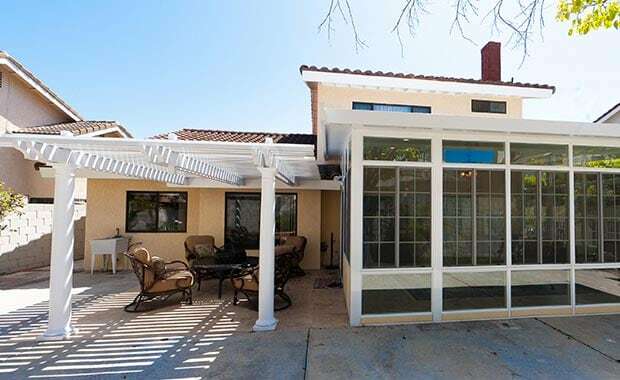 Whether it’s a Horizon sunroom that our builders retro-fit to blend in with your roof line or a graceful potted garden partially shaded by an Apollo louvered patio cover, we can find the perfect solution for you. We can do all of this and more with our easy to customize, easy to install, and easy to maintain product lines. 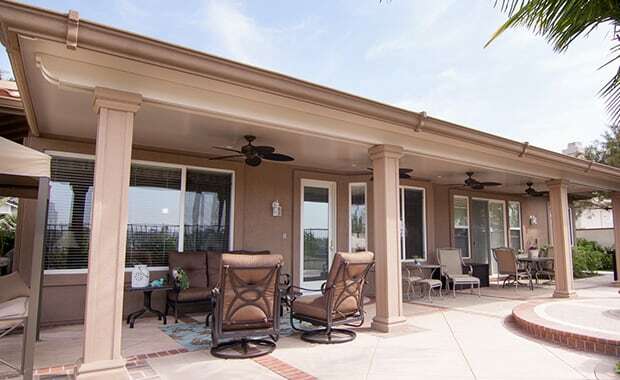 Our customers’ favorites include brands such as Elitewood patio covers and Horizon and Sunscape sunrooms. MIX & MATCH OUR SERVICES TO FIT YOUR STYLE & NEEDS. Perhaps your kids are young, and you’d like a LifeRoom, where they can play safely indoors while enjoying the benefits of fresh air and natural light. Or maybe you have an amazing view of the ocean, and you really need a custom patio cover to properly enjoy it. No matter what you need, all of our looks are designed with one thing in mind. You. In yourself. In your friends, your family, & your home. A well-constructed, well-designed patio or sunroom can add curb appeal and, ultimately, value to your property. But that’s not the main reason that you should set up an appointment with one of our experts. You see, we want to build more than stunning sunrooms and patios. We want to build retreats that help you unwind, shake off the stress of the day, and spend quality time with the people you love the most. We want to build playtime with your grandchildren, unforgettable family reunions, and weekly neighborhood barbecues. Most of all, we want to build a community centered around the awe-inspiring loveliness of Orange County.